Jack Hollister had always wanted to be a lawman, but the night he’s forced to kill his outlaw father in self-defense, he tosses aside his badge and turns cowboy. He seeks refuge at the Wells Cattle Company, but he’s haunted by his father’s dying wish – to find the man who betrayed him and his gang. 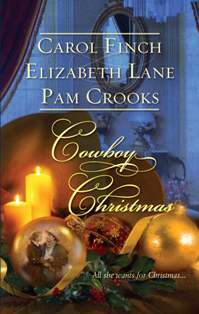 Grace Reilly nurtures a simmering hate for the lawman she believes killed her lawless mother. She vows revenge, but her respectable life in the east is shattered by scandal. First, she must travel west to find the answers she needs to save her best friend and all they’d worked for, never dreaming she’d find Jack, too . . .. Together, Jack and Grace learn love and forgiveness as they encounter the man who’s determined to destroy them—unless they can destroy him first. Zurina Vasco despises Trey Wells for the power he wields over her people and their beloved sheep. But when tragedy strikes, there is no one else she can turn to for help but him. Trey doesn’t have room in his life for a beautiful woman like Zurina–until the night his father is murdered. Only she can help him find the truth and satisfy the revenge he craves. Bound by the secrets that will tear them apart, they flee into the wilds of Montana Territory and find a love worthy of legends. Callie Mae Lockett is betrayed by the man who claims he’s responsible for her young brother’s tragic death. She chooses another to help carry on her precious legacy, the C Bar C Ranch , and he’s the farthest thing from a cowboy she’s ever met. TJ Grier has always been one of the C Bar C’s best cowboys, but one horrible night destroys all he’s ever known. Desperate to prove his innocence, he steals Callie Mae away, and together they plunge into danger to solve the secret that has torn them apart. Carina Lockett is driven to build a legacy for her young daughter, and she doesn’t need a man to help her do it. But when her precious child is lured away and held for ransom, she must swallow her pride and ask for Penn McClure’s help. Penn McClure had no intention of playing cowboy for any woman, especially one as strong-willed as Carina. But driving a herd of cattle to Dodge City was no easy task. And he had a score to settle with the man waiting for them at the end of the trail. Along the way, he discovers Carina is pure female–and that her legacy had become his own. View the Untamed Cowboy trailer. Creed Sherman is a war-hardened mercenary disillusioned with the happiness he hopes to find when he finally comes back home. Gina Briganti traveled from her native Sicily to start a new life in America, but a terrible fire threatens to destroy her hopes and dreams. A fanatic and his cause are responsible, and she must depend on Creed to protect her from danger. But is her love enough for the peace he craves? Lark Renault, alias Wild Red, is a former outlaw turned respectable. She loves her life as an honest, law-abiding bank teller in a small Iowa town. But her past comes back to haunt her. His name is Catfish Jack, and he wants the money she stole and buried when she rode with the infamous Reno gang. Only one man can keep her safe. Ross Santana, the bounty hunter determined to arrest her and close the only case he’d never solved. But if he does, it would destroy her — and the unexpected love they’ve found. Juliette Blanchard needs his land to build her luxury hotel. A high society architect from New York, she is desperate to prove herself in a man’s world. But Tru McCord refuses to sell. He’d once lost everything because of her. Now, he doesn’t need a frivolous hotel–or Juliette–back in his life. Does he? A bitter family feud threatens to destroy both their dreams. Only young love–and their own–promises to keep them alive. Jeb Carson is a fearless mercenary. He’s fought long, hard years on foreign lands to defend his country. He’s determined to return to America and live a quiet, normal life. Elena Malone is a mother. She knows nothing about war until her precious son is kidnapped by one of America’s most dangerous enemies. Together, Jeb and Elena must risk their lives in a daring fight to rescue her baby—and find victory in newfound love.